Yes, this comes a bit late because I’ve been so busy with work that I haven’t had time to blog it. But I thought I better sneak it in as I’ve been buying so much great music lately I had to save some room for the April Playlist. Beach House – Teen Dream, Third album from this American duo which came out in January. I can’t stop listening to the blissful first track “Zebra”, which, in a tragic twist of dyslexic, Freudian lyrical misinterpretation I originally thought they sang “black and white whores, arching among us” but was actually “black and white horse…”. The title of the song should have really given it away. Not the first time I’ve heard lyrics wrong, Cold Chisel spring to mind whose lyrics “Cheap wine and a three day growth” were heard as “Cheap wine and a three day goat”. Think I better take a trip to my analyst… By the way the singer is female. It took me by surprise when I saw the video. Masayoshi Fujita & Jan Jelinek – Bird, Lake, Objects, New album by Jan Jelinek on his own Faitiche label which finds him collaborating with Japanese Vibraphonist Masayoshi Fujita. A beatless, beautiful electronic gem. Great cover too. Virgo – Virgo, Reissue of a classic Chicago House Music album from Trax Records by creative duo Eric Lewis and Merwyn Sanders (better known as Virgo). Made using minimal equipment to maximal effect. If this doesn’t get you on the dancefloor, nothing will. Check out “Ride” here. Viktor Vaughn – Vaudeville Villain, Classic album by MF Doom under one of his many aliases, released on Sound Ink in 2003. The album starts strong and doesn’t let up the whole way through. Nine Horses – Snow Borne Sorrow, First album from collaborators David Sylvian, Steve Jansen and Burnt Friedman. Sylvian’s haunting voice holds the songs together which feature stunning production with a sublime mix of jazz and subtle electronics. Philip Glass – Satyagraha, An Opera by American minimalist composer Philip Glass about the life of Ghandi. I was fortunate enough to see this recently in London thanks to some free tickets. Sublime music which ends with one of the saddest and at the same time uplifting songs you’re ever likely to hear. 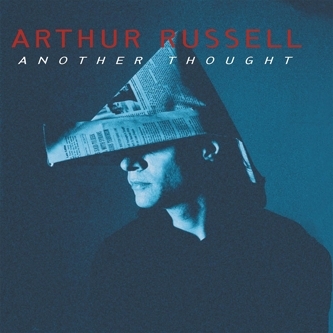 Arthur Russell – Another Thought, Collection of previously unreleased material by musical enigma Arthur Russell, who combines electric cello with disco, modern composition and a haunting, ethereal voice to brilliant effect. Sun O))) & Boris – Altar, I only discovered Japanese hard-rock trio Boris recently after hearing their music on the soundtrack to Jim Jarmusch’s latest film “The Limits Of Control”. For this collaborative album, the two bands combine well to create some low-end-slow-motion-doom-rock-destruction.